Honoring one’s parents is one of the Ten Commandments. In Judaism, respecting and deferring to our elders is not just a value, it’s the law. That said, the opportunity to honor our elders in front of the entire community doesn’t come around very often. Which is just one of the reasons Louis Brier Jewish Aged Foundation’s Eight Over Eighty is so unique. Four of the honorees are featured in this article: Dr. Marvin and Rita Weintraub, Rita Akselrod, Dr. Jimmy White and Chaim Kornfeld. Next week’s Jewish Independent will feature profiles of honorees Dr. Arthur and Arlene Hayes, Stan and Seda Korsch, Samuel and Frances Belzberg, and Serge Haber. Marvin Weintraub was born in Poland and came as a child to Ontario, where he ultimately received a PhD in plant physiology. Rita (Enushevsky) was raised in southwestern Ontario, near Niagara Falls, and graduated in sociology and philosophy. Both studied at the University of Toronto, where they met. They married soon after. 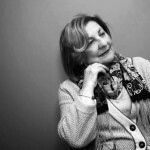 Settling for a decade in St. Catharines, which at the time had a Jewish population of about 500, together they started an adult education series and Rita launched a Jewish library in the synagogue that doubled as a community centre. Some of the librarians still working at the desk were originally trained by Rita. “I have great faith in the value of education of all kinds, but particularly for Jewish adults and for youngsters,” said Marvin, who taught in the synagogue’s afternoon school. They both became active in Canadian Jewish Congress (CJC) and she in National Council of Jewish Women (NCJW). Marvin took a job at the University of British Columbia in 1959 and the young family moved west, immersing themselves in synagogue and community life. Rita became vice-president of Beth Israel Sisterhood and NCJW, taking special interest in global concerns like Vietnamese boat people and Soviet Jewry. She also brought her dedication to adult education, which she championed in Vancouver as she had in Ontario. Marvin was elected president of Beth Israel and, later, Pacific Region chair of CJC, during which time he focused on addressing challenges of Jewish schools and helping teachers upgrade their skills. Invited to the USSR in 1968 by the Soviet Academy of Science to lecture on plant virology, Marvin took the opportunity to smuggle in a suitcase filled with tefillin, tzitzit, siddurs and machzors. He attended shul morning and night for a month, using his serviceable Yiddish to identify daveners who could use the items. In 1973, with Dr. Sid Zbarsky and Dr. Robert Krell, Marvin began the process that would lead to the first professor and program of Judaic studies at UBC, which now has three full-time and one part-time faculty. In 1978, he was awarded a Queen’s Medal for service to Canadian science. When the Jewish community centre at Oak and 41st was being designed, Rita convinced planners to set aside space for a Jewish library. Then Marvin set up a lunch between Rita and Sophie Waldman, during which Rita convinced Waldman to memorialize Waldman’s recently deceased husband, Isaac, with a library. Rita remains chair of the Friends of the Waldman Library and the annual fundraising telethon, which she began 20 years ago. She also has been a volunteer with Shalom BC, welcoming newcomers to the local Jewish community. Of all her achievements, the library holds a special place for Rita. “It’s the focal point of the JCC,” she said. Rita Akselrod’s early experiences were forged by life in Romania, first under the Nazis, then under communism. At seven, she was barred from attending public school because she was Jewish, so a makeshift Jewish school was formed. She and the other Jews in Bacau were forced to wear the yellow star, were subject to curfews and forbidden from assembling in groups. The men in her family were conscripted into forced labor. By the time Rita was ready for high school, the Russians had taken over and she was taken by her uncles to high school in Bucharest. Her brother wanted to go to university, but the communist regime wanted him in the army, so he fled the country. The rest of the family soon fled also, making their way to Budapest, then trekking through cornfields to an American-controlled zone before landing in a displaced persons camp in Austria. There, she met “my Ben,” who she recently lost after more than a half-century of marriage. The couple made their way to Israel. But life was difficult in the state’s earliest years, and more so when Rita lost a baby three days after birth. They chose to move and were helped by Leon Kahn, a friend of Ben’s who had settled in Vancouver. But the family succeeded, and later sponsored Rita’s parents, brother and his family from Israel. In 1979, tragedy struck, when the Akselrods’ daughter, Sherry, was killed by a drunk driver. She was a parole officer who had offered to trade shifts on Dec. 26 so a colleague could spend Christmas with family. The loss spurred Rita to bring the group Mothers Against Drunk Driving to British Columbia. She also became involved in grief support, which was taking place in a church. “I was speaking to a rabbi and said, ‘Can we have it in the Jewish community? Do I have to go to a church?’” Jewish Family Service Agency started a grief support group and Rita attended. Eventually, they asked her to take it over, which she did for many years as a volunteer. As well, she has been actively involved in substance abuse education programs. 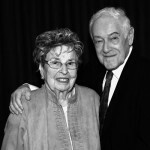 She and Ben were founding members of the Vancouver Holocaust Education Centre and, for more than 20 years, Rita coordinated the speakers program, which has allowed tens of thousands of young British Columbians to learn about the Shoah directly from survivors. She is a past president and a life governor of the centre. She is a recipient of the YWCA Women of Distinction Award for community and humanitarian service and, on the 50th anniversary of the Universal Declaration of Human Rights, she was awarded with honorary Canadian citizenship in Ottawa as a Holocaust survivor who has contributed to Canadian life through remembrance and education. Change has been a constant for Jimmy White. He was born in Ohio but the family moved to Saskatchewan during the Depression. His father ran a store before thinking better of it and moving the family to the coast. Jimmy studied at UBC but, since there was no medical school here at the time, he headed to Toronto to become a doctor. While there, he met Beulah and they returned to British Columbia as a married couple. Jimmy saw even more of Canada through assignments at military hospitals during the war. 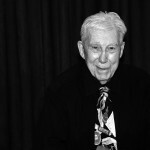 When peace came, he took up practice downtown and became an institution in the community. Beulah passed away young, leaving Jimmy and two daughters. He would later marry Miriam Brook, who was widowed with three girls of her own. Sadly, Miriam, too, has since passed away, but Jimmy said he is thrilled to have five daughters. In addition to his work and family obligations, Jimmy has been a leading voice for Zionism, as an activist in Young Judaea, then the Vancouver Zionist Organization. He was president of the Jewish Community Council (precursor to the Federation) and of the Richmond Country Club. He was a key fundraiser who helped obtain the land for and construct the JCC at Oak and 41st. These days, he is the head of the residents council at the Weinberg Residence and enjoys yoga, concerts, bridge, art classes, detective novels and debates on politics and language. Chaim Kornfeld was born in 1926 in a small town in northeastern Hungary, the youngest of eight children. While his father ran a grocery store and his mother managed the large, observant family, Chaim studied at cheder and yeshivah – until 1944. It was at that comparatively late period in the war when the Jews of his town, and of much of Hungary, were placed in ghettoes before being transported to camps. 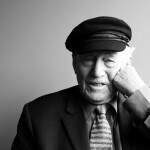 Chaim survived Mauthausen and Gusen, where he worked in an airplane factory. He survived a death march just four days before liberation in May 1945. Of his large family, only Chaim, a sister and two brothers survived. He finished his secondary education in Budapest and was preparing to enter rabbinical school when the Jewish Agency offered him the chance to go to Israel. He leapt at the opportunity, joined the Israeli air force, and was a founding member of Kibbutz Ma’agan. But educational and professional advancement was limited in Israel’s early years and Chaim took his brother up on a sponsorship to Canada. In Saskatoon, Chaim taught Hebrew school in the afternoons and evenings, while attending university. During this time, he corresponded with a young woman he had met in the Israeli military, Aliza Hershkowitz, and convinced her to join him on the Prairies. Chaim and Aliza would raise four children (a fifth passed away in infancy). While at the University of Saskatchewan law school, he served as camp director for Camp B’nai B’rith in Pine Lake, Alta. Practising law continuously since 1960, he is proud to be one of the oldest in his profession. Chaim is a board member, past president and life governor of the Louis Brier Home. He shares his story of survival and accomplishment with students at the annual high school Holocaust symposium and he swims six days a week at the JCC, where he has been a member for 40 years. To attend Eight Over Eighty, call 604-261-5550 or visit thelouisbrierfoundation.com.